Dr. Derrick earned a B.A. in public health from Johns Hopkins University and a M.Sc. in biochemistry and molecular biology from Johns Hopkins School of Public Health. She attended medical school at University of Nebraska. She completed pediatric residency at University of California Davis, where she was active in policy issues and clinical research. 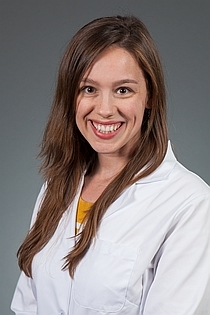 During her fellowship in pediatric endocrinology at Children’s Hospital at Montefiore, she was involved in many clinical research and quality improvement projects relating to pituitary microadenomas, emergency medical identification for diabetes patients, improving thyroid nodule ultrasound reporting, and assessing thyroid function tests in healthy babies born to mothers with thyroid disease. She has discussed her research at local and national endocrine meetings with oral presentations and posters. She enjoys teaching medical students, residents, and fellows.